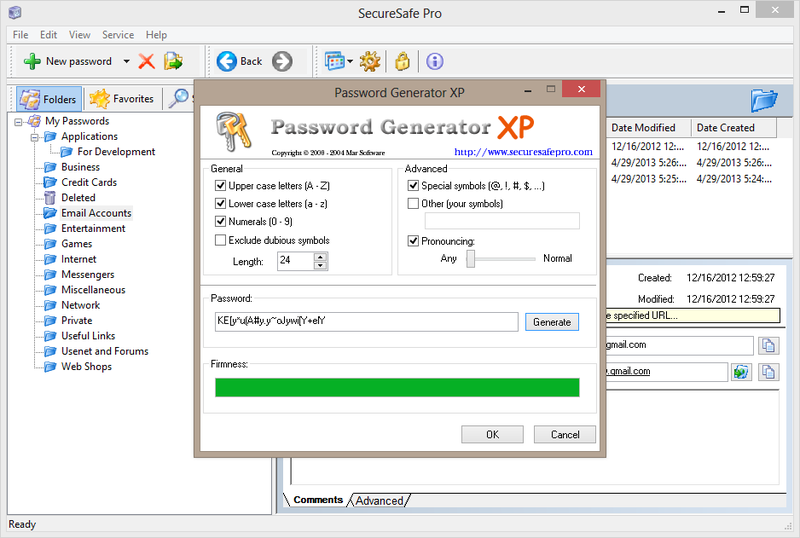 With hacking and identity thefts on the rise, nobody can simply deny the importance of using a strong password keeper. 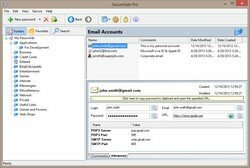 This magical and interesting software is the key to keep your information safe and free from different kinds of breaches. The reason for this is simple: there is now a single password that protects all! In order to abstain from the confusion of remembering various logins for innumerable accounts, different users prefer using the same passwords in varied scenarios. This in turn can leave you vulnerable to hackers. 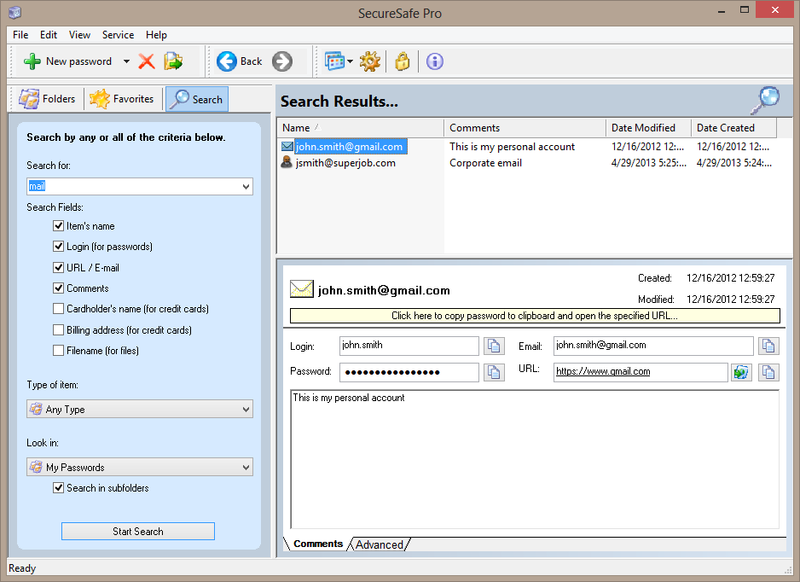 SecureSafe Pro is a single password tool that protects all! Here are some features of this versatile keeper that make it a pleasure to work with. Password managers are here to make your life easier and not complicate it further. 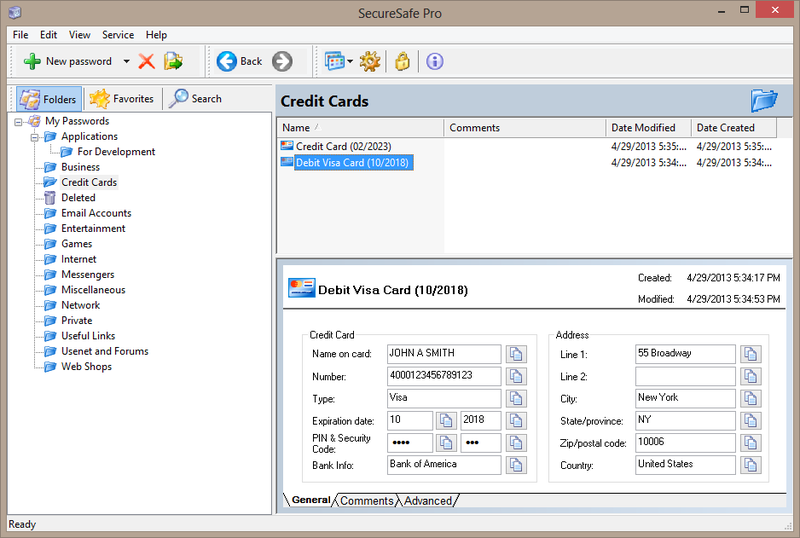 SecureSafe Pro is simple to use and you does not require any special training or courses in order to understand and use it for your benefits. 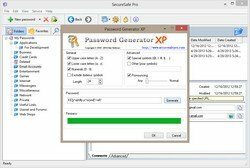 This powerful tool allows you to get going instantly and now you do not have to remember your passwords ever again! Everybody has critical files that has to be kept safe at all times. 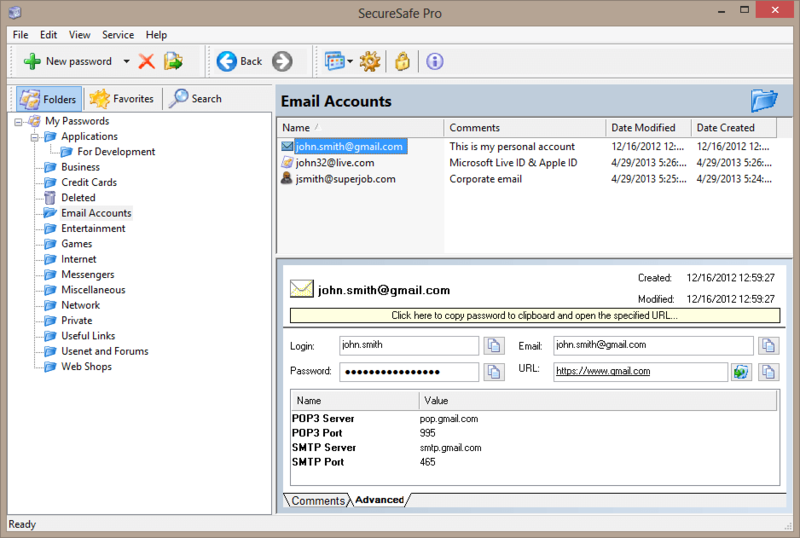 Now this becomes easy with SecureSafe Pro - a simple manager that maintains private information, as it should be, completely private. Whether it is business or personal, a password keeper helps you to organize them, find them at will, and keeps them well protected at all times. 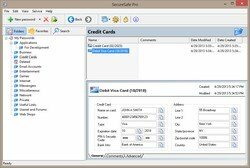 Organization of information protected through security management software becomes easy with the presence of pre-defined templates for various types of data that you wish to keep under lock and key. This can be any from passwords, credit card data including numbers and bank info, and even notes that you wish to revert to sometime in future. Save it in the available templates based on category and this makes finding them again easy and hassle free. Those who are unable to find use for pre-defined templates or require more for keeping their information protected can customize fields based on their needs. 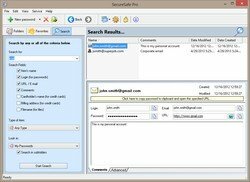 There can be any number of fields under the records section and you can fill any kind of data based on personal preference, and a single password protects all. 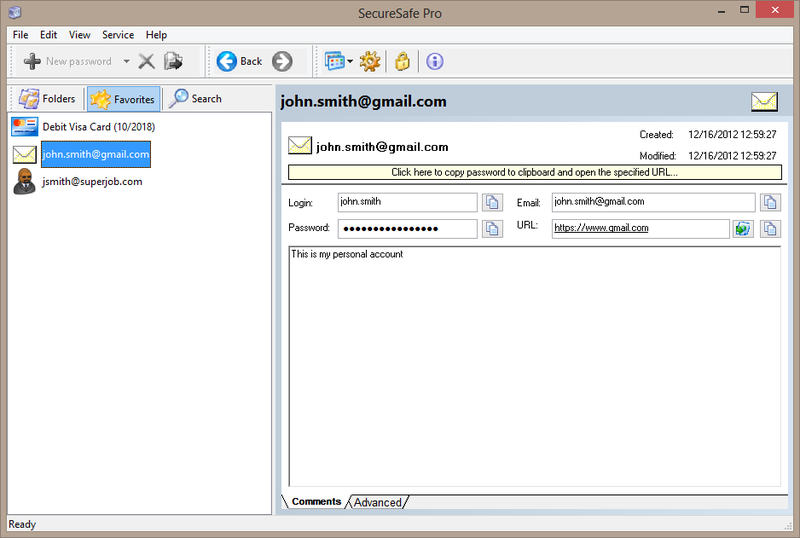 In order to make management of protected information easy there is the presence of innumerable icons available with the password keeper that ensures visual differentiation and fast selections from the critical data storehouse, which this software becomes over time. 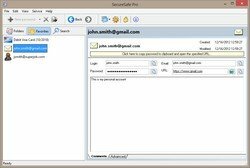 Password managers also work as data backup storage where you can keep all the critical and sensitive information, shunning you off from prying eyes and keeping you safe from loss when your hard disk, or desktop crashes. Why court trouble when there is a simple and easy way out? A password keeper can help you sleep better at night. Besides providing your private information high levels of security such managers can help you in the organization of account information. So, what are you waiting for? Make the most of this high level software today. After all, it is always better safe than sorry!